Just a reminder that this one’s still available. Click here to visit the Twinings site and scroll all the way to the bottom. Then on their site you can fill out the form and request 3 tea samples. Hurry though because it’s just while supplies last. I loved drinking Twinings tea while in London. Looking forward to trying this tea. Thanks, I like trying new teas. thanks for the samples…love my tea! Thanks, I love your tea! I can’t wait to receive these teas and try them! I enjoy relaxing with a cup of tea. yum can’t wait to try ! Thanks for the samples of tea. I love Twinings tea. Have had some before in cafes. Can’t wait for them to get here. I ordered Chai. Love the spiciness. My mother got me hooked on tea. Especially different flavors. I enjoy tea a lot! can’t wait for my teas, Thank you!! 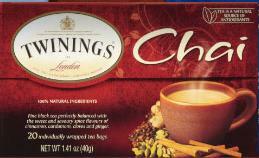 Tea is my beverage of choice and Twinings Of London Teas are excellent. Thank you for chance to sample some I do not ordinarily buy! Looking forward to recieving my samples. I l love hot tea! tea is for me, love it.